MEDIAR develops a global ecosystem which empowers fans, improving their position within the industry. Simultaneously, by enhancing Your experience as a fan, MEDIAR provides the framework that allows creation, management and profiting from fan community-based ventures and apps. Although the platform is fan-oriented, it is open for advertisers, broadcasters, event organisers, influencers, media platforms and other stakeholders of sports industry - since the operation of the whole ecosystem is efficient and beneficial for both fans and partners in this case. MatchDiary will provide fans with even greater experiences by offering them a complete platform with currently dispersed tools. In addition, MatchDiary will be supplemented with original functionalities, which will determine its great potential and value. In today's world, we live surrounded by information. Some things were easier before the Internet era - front page advertising was considered the best form of promotion! Those times are long gone. Now companies compete by coming up with newer and increasingly creative methods to capture our attention. Large corporations deliver media and information electronically through telephone, tablet, or laptop, nearly eliminating traditional paper versions. However, consumers don’t mind because, in the end, we all want better solutions. This revolution is already being done through MatchDiary, an innovative social platform focused on soccer fans. MatchDiary separates users from unwanted content, aggressive ads, and greedy brokers. In our community, each of the users contributes their own value to the system, affecting its shape and development. The entire system has been based on the principles of equality, security, and transparency. 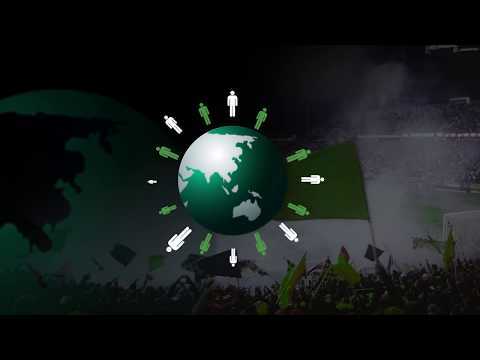 We believe that thanks to people’s willingness to be a part of something greater, the MatchDiary platform will be a unique place, bringing together people with a shared passion, created by fans for fans. We provide statistics not only of teams but also for the fans themselves. The user will have full access to their activity (number of live matches, time spent in the stadium, etc. ).Each user can feel like a journalist creating their own content graded by other users. Thanks to this the creator will receive an appropriate reward.Users are ranked based on activity. Milestone data is not clear about future plans in ICOBench, but its updated on their site. So that is fine. A lot of football competition. How is this project different? How much is raised in pre ico? I’m not sure if the team is aware of this but there is no reason to issue a cryptocurrency in order to create a basic mobile app to attract football fans. According to my experience, if a product does not benefit from blockchain technology, the only benefit of doing an ICO is to crowdfund the project, and that’s only temporary. However, I liked the arrangement of whitepaper and lightpaper though. Everyone can decide by his/her own but I’m definitely passing on this one. Team is lacking experience, LinkedIn profiles and didn't undergo KYC. The project is using a lot of buzzwords. I see no usecase for a platform as MatchDiary and I will find it hard to believe that the project will get any foot of the ground. The roadmap is also very stretched (2020+) and rather lacking. No information about the team, poor or not existing Linkedin profiles. Field where competition is high with other already existing ICOs that are doing good. No precise information on the Roadmap, and the project seems to be bornt a couple of months ago. MEDIAR shares its solutions to enable others to build applications around smaller fans communities within MEDIAR.